Online air waiver provides a facility for aircraft business. PLEASE NOTE: This is an important legal document. Allow yourself sufficient time to carefully read and understand the entire document. By agreeing to it you are giving up certain legal rights and incurring legal liabilities. If you do not understand anything in this document, you should not agree to it. Instead you should consult with your legal advisor. By signing below, you acknowledge that you have read and accept the terms and conditions of this agreement in its entirety. 1. Activities. I desire to participate in an air operation and related activities conducted by ICON, including but not limited to riding as a passenger in an ICON A5 aircraft, boarding and unboarding the aircraft, all ground, water, and air activities undertaken on account of the air operation, including any rescue operations, and all related activities (together, these are referred to collectively as the “Activities”). My participation is voluntary and of my own free will. I am receiving flight instruction in a Sport Flying Introduction (SFI) flight or receiving a demo flight and not paying ICON or the pilot of the aircraft (the “Pilot”) to participate in the Activities. 2. Assumption of Risk. 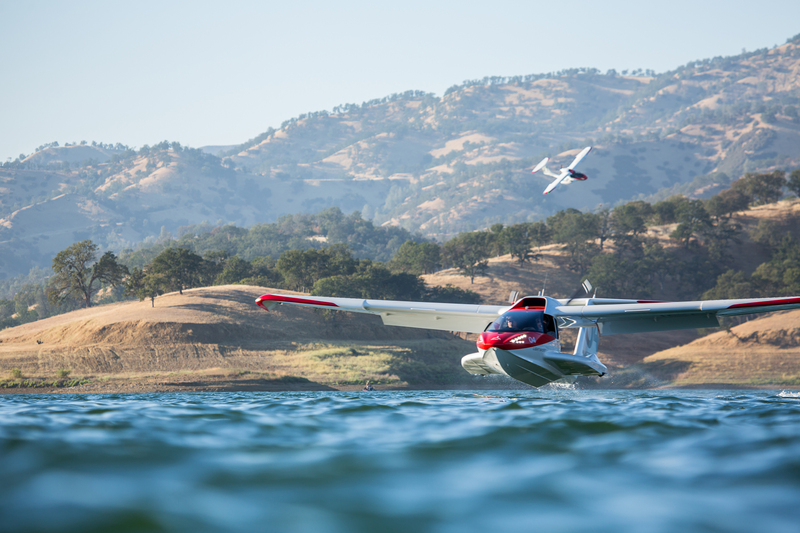 I understand that flying in an ICON A5 aircraft, which is not type certified by the FAA, entails risk of bodily injury, death, and property damage. I am aware that many aircraft accidents involve pilot error. I understand that participating in the Activities could result in injuries from a variety of factors, including but not limited to: pilot error; engine or mechanical failure; defects in the aircraft or components; negligent maintenance; defects in runways; interference by wildlife, other aircraft, boats or other foreign objects; difficult search and rescue; unfavorable weather or terrain; contaminated fuel; hard or forced landings; turbulence; slippery aircraft or docks; low temperature water; inability to swim; harm from the propeller; or other causes. Injuries that could result will vary, but may include (a) minor injuries such as scratches, bruises, and sprains; (b) major injuries such as eye injury or loss of sight, joint or back injuries, severed limbs, heart attacks. and concussions; and (c) catastrophic injuries, including paralysis and death. Notwithstanding the risks and other hazards involved (whether or not foreseeable or identified herein), I, for myself, my spouse, executor, administrator, personal representatives, heirs, assigns, issue, legatees, and successors, understand, acknowledge, and expressly assume any and all risks and full responsibility for any injury, death, or property damage arising out of or related to the Activities. I am voluntarily participating in the Activities with knowledge of the danger involved. 3. Release, Discharge, and Agreement Not To Sue. I, for myself, my spouse, executor, administrator, personal representatives, heirs, assigns, issue, legatees, and successors, hereby fully release, discharge, and agree not to sue (a) ICON, its officers, directors, stockholders, employees, agents, insurers, suppliers, and successors; and (b) Pilot, his or her estate, heirs, personal representatives, and members of his or her family ((a) and (b) collectively, the “Released Parties”), for any and all claims, injury, death, or property damage arising out of or related to the Activities. This release, discharge, and agreement not to sue shall relate to any and all claims or legal rights now existing or arising in the future, including but not limited to claims and legal rights arising out of any active or passive negligence of ICON, Pilot, or any Released Party, and any other breach of a legal duty arising by common law, statute or contract. 4. Indemnification and Hold Harmless. I agree to indemnify and hold harmless ICON, Pilot and each Released Party from and against, without limitation, any and all claims, actions, suits, procedures, costs, expenses, damages, and liabilities, including attorney’s fees, incurred, brought, or threatened as a result of or arising out of my involvement in the Activities and agree to reimburse ICON, Pilot, and each Released Party for any such costs and expenses as they are incurred. I expressly acknowledge and agree that this duty to indemnify and hold harmless shall apply even under circumstances where ICON or Pilot has acted in a negligent or tortious manner. 5. Model and Image Release. I hereby grant to ICON, its successors and assigns, the irrevocable and unrestricted right to use, publish, make derivative works of and commercially exploit photographs, images and/or video of me, or in which I may be included, while participating in the Activities for editorial trade, advertising, and any other purpose and in any manner and medium; and to alter the same without restriction. 6. Consent and Fitness. I am 18 years of age or older and know how to read, write and understand the English language sufficiently to understand this agreement and to fully appreciate its nature and consequences and the consequences of my agreement hereto. I acknowledge that participating in the Activities poses risk to my health. I represent and warrant that I am and will be sufficiently healthy and fit for participating in the Activities, and do not have, and at the time of the Activities will not have, any physical infirmity or chronic ailment or injury of any nature, including but not limited to cardiac or pulmonary conditions or disease, diabetes, fainting spells or convulsions, nervous disorder, kidney or related diseases, or high or low blood pressure. 7. Acknowledgements and Full Release. I acknowledge that ICON has given me the opportunity to discuss the provisions of this document with my legal counsel, and that I have either had such discussions, or chosen not to do so. I also acknowledge that I have been given the right to object to and bargain regarding these provisions, but have voluntarily and knowingly chosen not to do so. I am freely and voluntarily signing this Agreement and intend that this agreement be the complete and unconditional release of all liability to the greatest extent allowed by law. 8. Severability. I agree that if any provision of this agreement (or any portion thereof) is found to be unlawful or unenforceable, the remaining provisions shall continue in full legal force and effect notwithstanding such invalidity or unenforceability, and that such invalid or unenforceable provision (or portion thereof) shall be revised to the extent possible to allow for the enforcement of this agreement to the fullest extent allowed by law. 9. Continuation of Obligations. I agree and acknowledge that the terms and conditions of this agreement shall continue in force and effect now and in the future at all times during which I participate in the Activities, and shall be binding upon my myself, my spouse, executor, administrator, personal representatives, heirs, assigns, issue, legatees, and successors and/or anyone else claiming on my behalf. 10. Entire Agreement. I agree this agreement constitutes the entire agreement and understanding regarding its subject matter and shall not be modified except by a written instrument executed by me and ICON. I agree that the headings used throughout this agreement are for convenience only and have no significance in the interpretation of the body of this agreement. Participant Phone number: * Please enter your phone number. Please enter your height (in) * Please enter a number. Please enter your weight (lbs -- for weight and balance purposes) * Please enter a number. Primary Emergency Contact First & Last Name: * Please enter your name. Primary Emergency Contact Relationship: * Please enter your answer here. Primary Emergency Contact Mobile Phone: * Please enter your phone number. Primary Emergency Contact Home Phone: Please enter your phone number. ICON Pilot or Rep Name: Please enter your answer here.